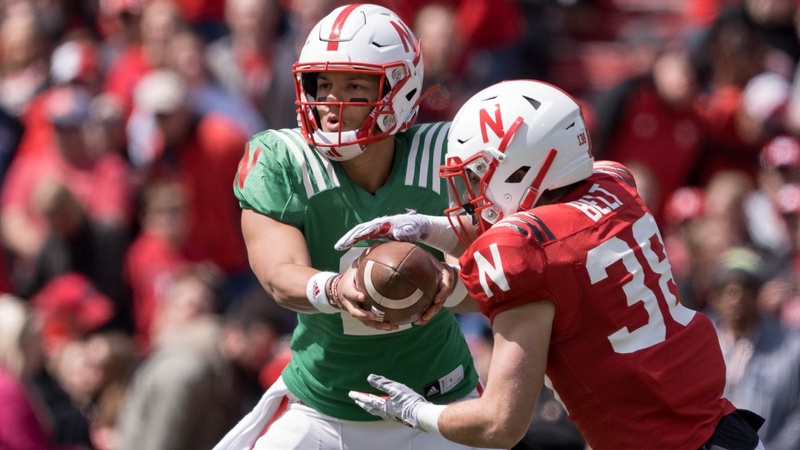 Here are stats and highlights from a 24-13 Red team win over the White team in Nebraska’s annual spring game. C/A Yards TDs INTs Passer Rtg. The first touchdown of the game came from none other than the Huskers’ star quarterback, Adrian Martinez. The first two, actually. Martinez ran a quarterback draw from inside the 10-yard-line for the game’s opening score, then broke containment on the first play of the second quarter to find senior wideout Jaron Woodyard for the second score. Freshman wideout Jamie Nance was looking at his first reception in a Husker uniform. Senior defensive back Avery Anderson had other ideas. After a major hit that jarred the ball loose, sophomore linebacker Jordan Paup jumped on it for the interception.